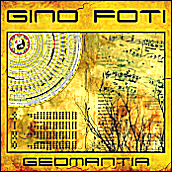 For my sixth (and last) release in a series of conceptual albums in the ethnic fusion, meditation, and spiritual music genres, I decided to record the entire album in one day, within two six-hour sessions. After searching through my notebook of ideas, I settled on a project based on the Maha Shivaratri - an annual festival dedicated to the Hindu god Shiva. There is a Shivaratri every lunar month, with the Maha Shivaratri, or Great Night of Shiva, taking place on the thirteenth night (the new moon) and fourteenth day of the month Magha or Phalguna - February or March of the Gregorian calendar. For 2019, that date was March 04. Like some ancient Hindu festivals, there are various stories attached to this celebration. It marks the day when Shiva drank "poisonous negativity" to protect the world; the day that Shiva married the goddess Parvati; the night when Shiva performs his heavenly dance of creation, preservation, and destruction; the convergence of Shiva and Shakti; as well as an occasion to make offerings as a penance for one's sins during the past year. Unlike the majority of Hindu festivals, it is celebrated at night, and it is more of a solemn event, focused on fasting, introspection, meditation, self-restraint, and all-night vigils at Shiva temples. The panchakshara Om Namah Shivaya is one of the most popular Hindu mantras, as well as the most important in Shaivism. It translates to "holy five syllables" or "holy five letters" (as it excludes Om), with the mantra meaning "Salutations to the auspicious one", or "adoration to Lord Shiva". The syllables Na, Ma, Si, Va, and Ya appear in several Hindu & Vedic texts, including: the Shri Rudram hymn, part of the Krishna Yajurveda; the Rudrashtadhyayi, part of the Shukla Yajurveda; and are found in the middle of the Vedas, in the Rudram, elaborated upon in the Agamas. In different Shaivism traditions, the syllables can represent different things, like the five elements: aether, earth, fire, water, and Pranic air (wind); parts of Shiva's body: feet, navel, shoulders, mouth, and cranial center; the qualities of blissfulness, divine love, grace, prayer, and truth, etc. While many mantras have restrictions on when, or how, they are chanted, the panchakshara seems to have none, including: caste, color, creed, gender, or even religious belief. Some devotees insist that before reciting this mantra, it is beneficial if one takes a bath, or washes their face, hands & feet, wears rudraksha beads, and sits in padmasana (lotus position) or sukhasana (easy pose), facing east (or north), in a quiet place. It is usually chanted along with the pranava, the cosmic sound Om, sometimes referred to as the shadakshara (six syllable) mantra. The pranava itself can be referred to as a panchakshara mantra by itself, as it contains akara, ukara, makara, bindhu, and natham within it. The panchakshara can be recited either aloud or silently, traditionally repeated 108 times - the mystical number in Vedic & Hindu traditions - a day, or within one meditation session, while keeping count on a strand of rudraksha beads, or mala, with the practice known as japa yoga. My arrangement features 108 repetitions of the panchakshara, backed by electric bass guitar and sitar. The bass guitar doubles the mantra for five beats, adding twenty-seven different arpeggios for the last three beats for every repetition. The three beats are meant to represent Aum, which encompasses the three bodies: causal, gross, and subtle; the three levels of mind: conscious, subconscious, and unconscious; the three states of dreaming, sleeping, and waking, among many other attributes. I chose 27 variations, since it is the number of beads frequently found in rudraksha garlands. The entire sequence is obviously repeated four times, with added delay effects and slightly different panning schemes. The title refers to the rudraksha seeds or beads, translated as the "tears of Rudra" (an epithet of Shiva), which are commonly worn by followers of Shiva, who is always portrayed wearing garlands of rudraksha beads around his head, neck, arms, and wrists. They are used as rosaries during meditation, to help concentrate one's thoughts while reciting mantras, verses, or performing certain rituals, and are first mentioned in the twenty-fifth chapter of the first Samhita - a collection or compilation of hymns or verses in a sacred book - of the Shiva Puran, one of eighteen Puranas in Hinduism. According to Vedic sacred texts, while in deep meditation for thousand of years as a penance, Lord Shiva opened his eyes, and upon seeing the misery and suffering throughout the world, began shedding tears of compassion, which upon falling on the earth turned into rudraksha trees - a large evergreen with hundreds of species found in the tropical & subtropical regions of the globe. Each seed is identified by the number of mukhis, or faces, that it has. Vedic texts say that there are seeds with up to thirty-eight faces, but usually up to fourteen are found, with five the most common, hence the direct connection to Shiva. 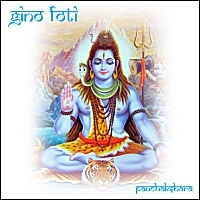 Musically, this piano-based piece blends elements of improvised jazz, modern Classical, and melodic fragments and simple themes influenced by devotional Indian music to Shiva.